Despite today’s picture, it wasn’t actually a bad 5K. 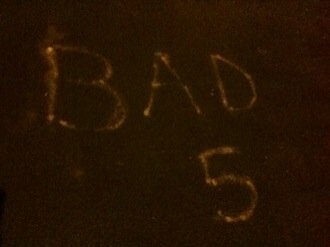 This is just something written on the Portway pavement that I’ve been meaning to take a photo of for months. Today I did simple 5K, with no glamour and nothing to talk about of note.